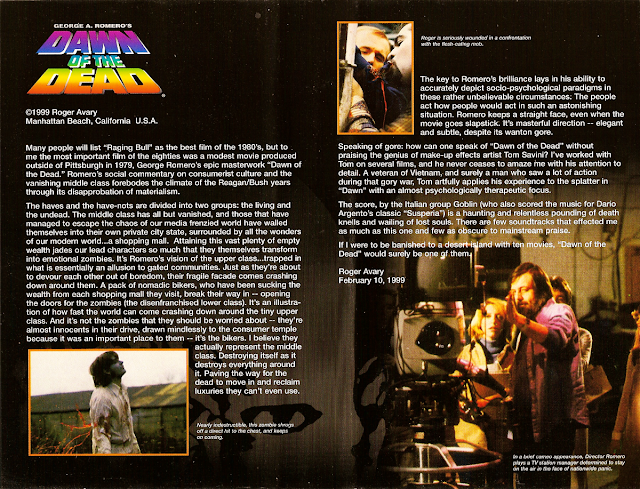 This isn't exactly "lost", but here's liner notes for Romero's Dawn of the Dead by filmmaker Roger Avary. These appear on the reverse cover of Anchor Bay's 1999 Theatrical Cut VHS. The front and back cover match the studio's DVD seen here. This never made it to that release and Avary went on to provide a "fan" commentary for the Divimax release of Day of the Dead.